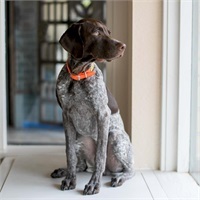 Windchime’s Nelsons Chief Gunners Mate, “Gunner”, is an AKC registered German Short Haired Pointer. Sired by Windchime’s Reload A Doublegun and Dame Windchime’s Golden Touch of Dixie, he was born in South Carolina in November 2016 and became a member of the Nelson family in January 2017. Gunner’s name originated from the nick-name by which Jimmy Nelson was known during his service in the U.S. Navy. 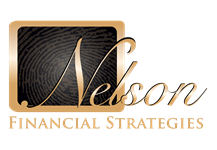 Gunner’s chief responsibility at Nelson Financial is that of Assistant Greeter, and his outgoing, affectionate personality has made him a welcome addition to the team. With an incredible nose and a keen sense of his heritage, Gunner enjoys spending his spare time learning to track and retrieve upland game both on land and from ponds and lakes. He aspires to one day run with the big dogs.